Originally held Robert Oppenheimer's position at the Manhattan Project, he resigned in 1942. 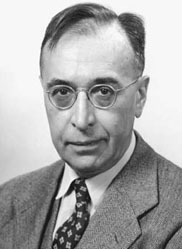 With Eugene Wigner, Breit was the first to describe proton-proton dispersion. "Insufficiently appreciated in the 1930's, he is today the most unappreciated physicist in America." (John Wheeler, Some Men and Moments in Nuclear Physics, 1979).